I couldn’t help but notice the African influence seeping its way through the wardrobe of some of the world’s celebrities. Last fall, Rihanna stunned the world by wearing Ankara fabric at the White House. She was sporting Haitian designer Stella Jean‘s creation, and she was stunning. I also recently heard about Zimbabwean designer Farai Simoyi, the one behind Nicki Minaj‘s fashion line. Before that Farai Simoyi was a Senior designer at the House of Dereon, the clothing house by mega-artist Beyoncé and her mother Tina Knowles. 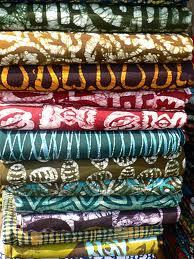 So watch out: next time you shop, you may be unconsciously buying some African designs. Enjoy this video about some of the up and coming African designers on the international scene. I noticed that we are following each other, but i recently changed my URL and some people let me know that not everyone stiil sees my posts.